St. John's currently meets in the scenic Edgewood section of Cranston, every third Wednesday of every month expect July and August. 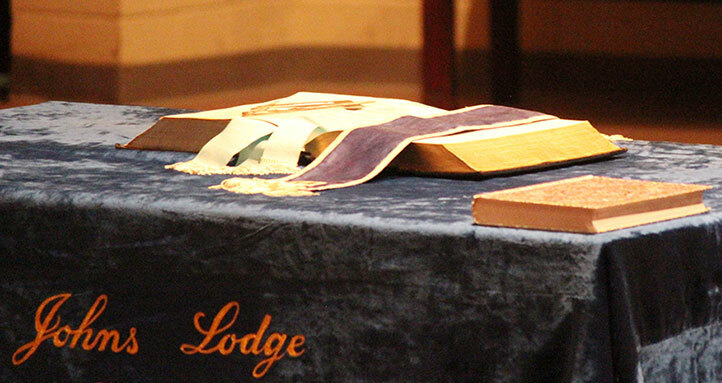 The lodge and location are steeped in tradition and history revelant to Freemasonry, the state of Rhode Island and the formation of this great nation, The United States of America. On a sad note, on February 9th. 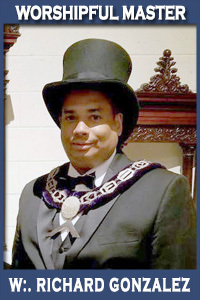 our brother Worshipful Allan R. Bellows joined the celestial Lodge above. He was the oldest living Past Master of Barney Merry Lodge No. 29, which merged with St Johns Lodge in 2001. He was 93 years old. Rest in peace, Brother. 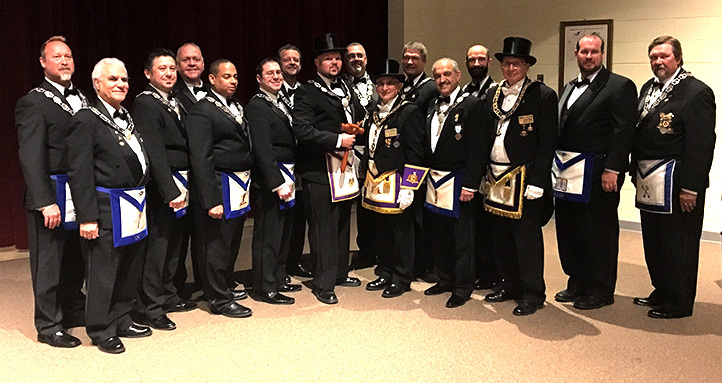 On February 20th, we held a joint meeting with Gaspee Chapter of DeMolay (sponsored by St Johns). We opened lodge, conducted our business and called the lodge to recess so that Gaspee could open their Chapter and present the flower talk, given by Past State Master Councilor Armando Barragan-Trovar. His presentation was so impressive, some brothers were brought to tears. It was a good night indeed! It’s always a pleasure to see these boys in lodge. These little brothers will one day be the members and officers of our lodge. March begins with the officers attending the Grand Master’s Official Visitation to St Paul’s Lodge #14 on March 5 at 7:30 pm. I would like to invite all the brethren to join us and show support for our Grand Master. We will be rehearsing for the Master Mason Degree on March 8th and 13th and the degree will be conferred on five candidates on March 20th. On that same evening, we will be joined by Grand Master Glenn S. Carlson who will be making his special visitation to St Johns. What a busy night indeed! 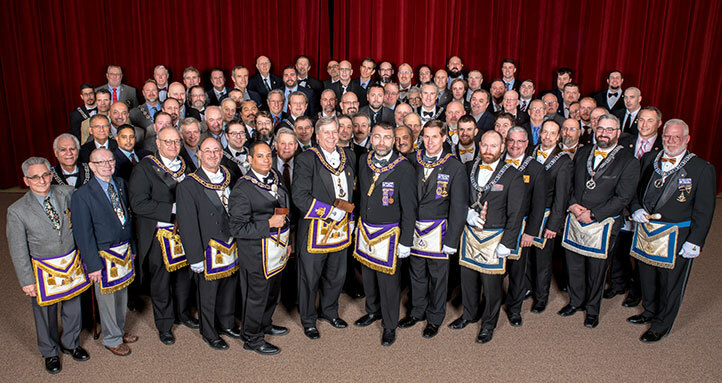 I have been communicating with the Worshipful Master of Euclid Lodge Worshipful Murad Peygumbari and finalized a date for our visitation to Euclid lodge #136 of NJ which will be on May 4th. Please save the date in your calendars. More information will follow as the arrangements are finalized.